The 2 Day Arenal Highlights Package is a great choice if you are short of time but want to enjoy the famous area of Arenal Volcano! 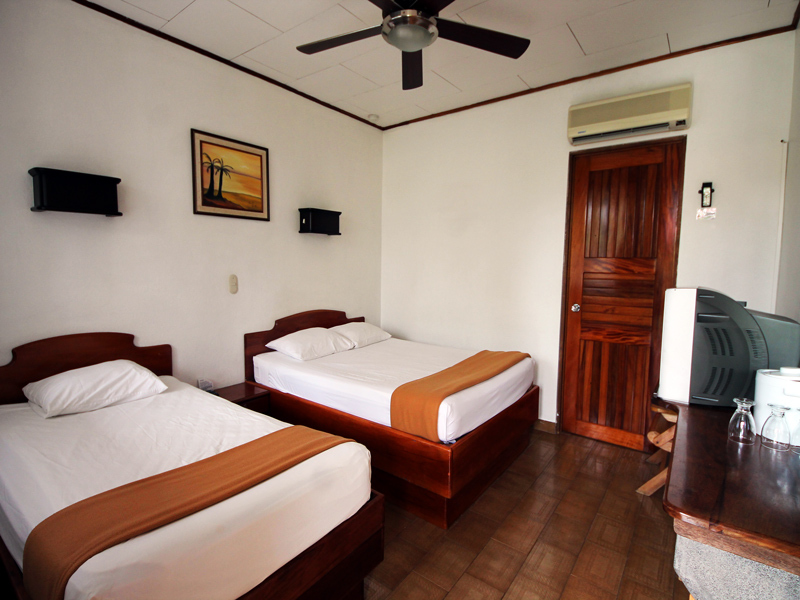 The package starts with a pick up at your San Jose Hotel in a comfortable a/c, micro bus. You will drive for about 2 hours before getting to the river to start your exciting whitewater adventure! 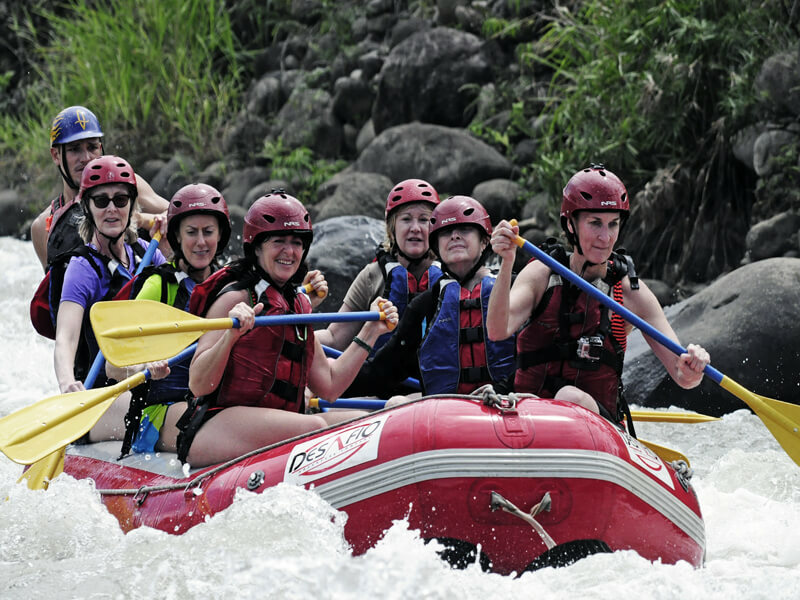 Our driver will look after your luggage while you raft. 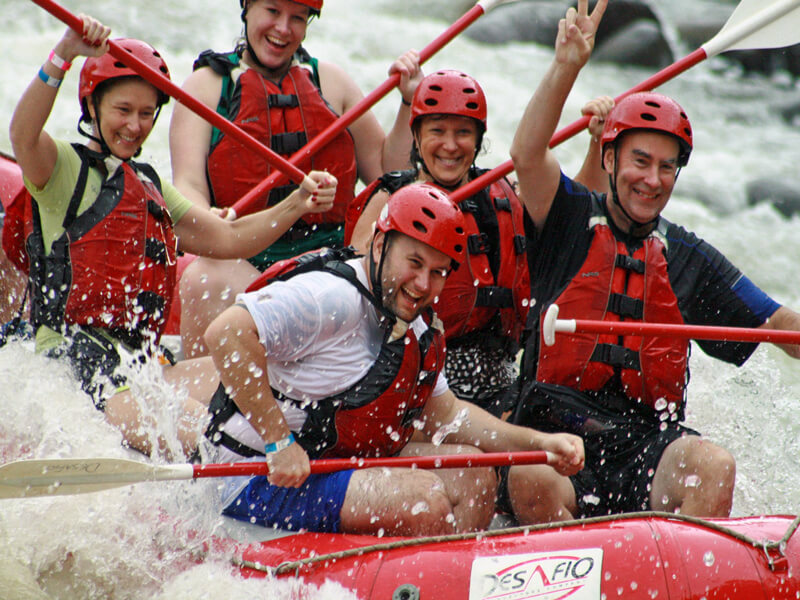 Rio Balsa Rafting - the Rio Balsa is ideal for both first-time whitewater rafters and those with some experience as it is gentle enough for those inexperienced rafters but enough of a challenge to make it exciting. 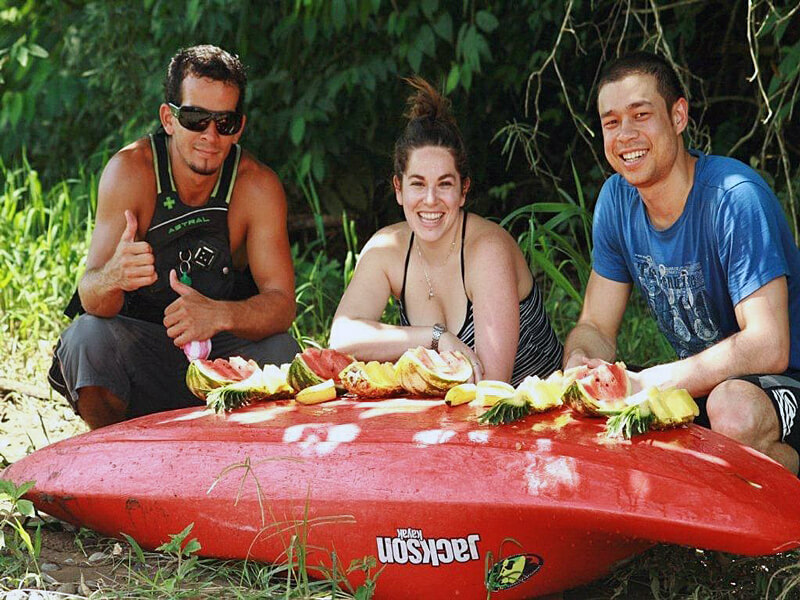 The Desafio guides are very accommodating to those first-time rafters, quickly earning your trust so that you are brave enough to enjoy a unique adventure as you paddle yourself through 25 fun & safe rolling rapids with names like "Morning Coffee" & "Rock around the Croc" and then play around in tranquil river pools in an isolated rainforest river canyon. With luck you'll get to see some wildlife like monkeys, sloths and tropical birds such as ospreys and toucans. This unique river trip is the best way to combine adventure and nature. After the rafting you will be taken for a delicious typical lunch (vegetarian options available) and there are bathrooms and changing rooms. 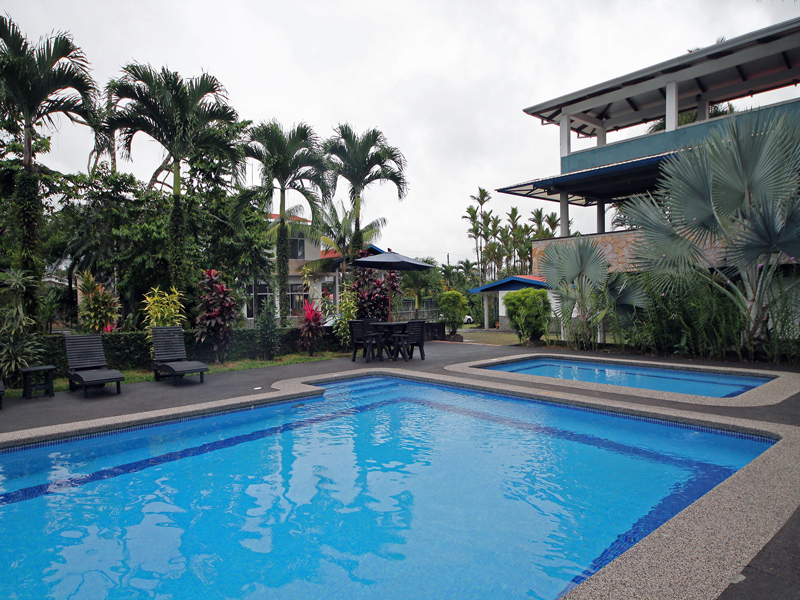 After lunch you will be driven back to your hotel in La Fortuna (about 45 minutes). You will have plenty of time to relax in your hotel before being picked up at 6.30pm for your dinner (included) and hot springs experience. 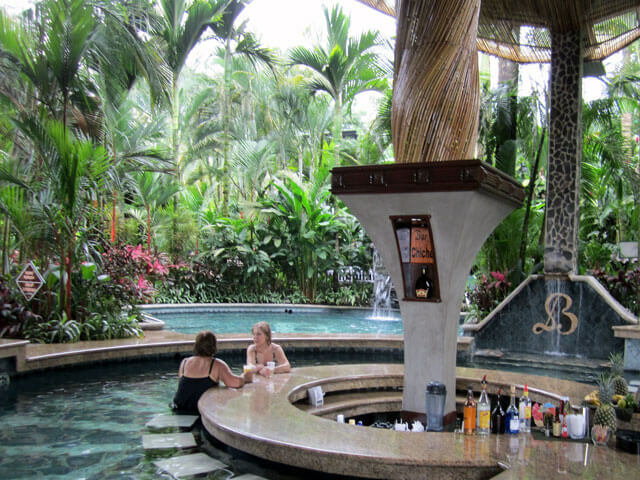 Baldi Hot Springs is located about a 15 minute drive from your hotel and is a popular hot springs set in 4.5 acres of gorgeous tropical gardens. Baldi has 20 different hot springs baths of varying temperature, averaging around 40°C plus a restaurant, swim-up bar, spa service, changing facilities and tropical gardens. The pools are spread around the grounds and sculpted with stones and framed by lush plants. Many types of treatments and massages are available from the spa, which take advantage of the thermal waters, minerals and other volcanic properties. Baldi Hot Spring’s complex is large and sometimes a rather lively atmosphere - further away from the entrance you'll find quieter pools and more-relaxing areas. Beware of the water slide, though: it goes really fast and some clients have come away with bruises if not taking care. You will be given a bracelet at Baldi which indicates that you have dinner included, and you can confirm what time you can proceed to the buffet . Your guide will arrange with you the return pick-up time (approx 9.00 - 9.30pm). A visit to Costa Rica is not complete without enjoying a canopy tour of some sort! 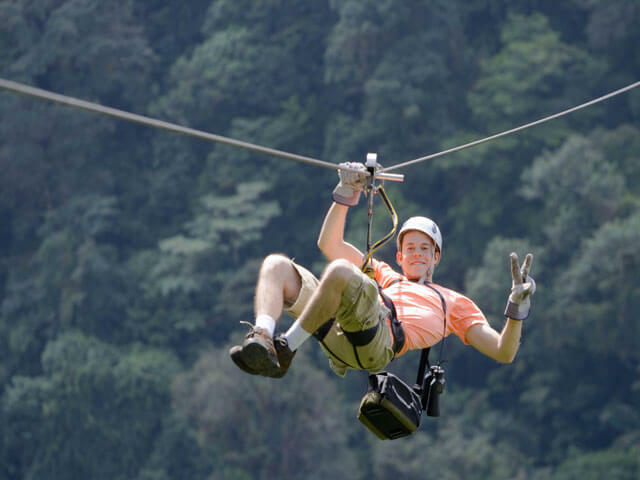 Our package includes the Arenal Skytrek located near the base of Arenal Volcano area and is one of the most innovative canopy tours in Costa Rica. 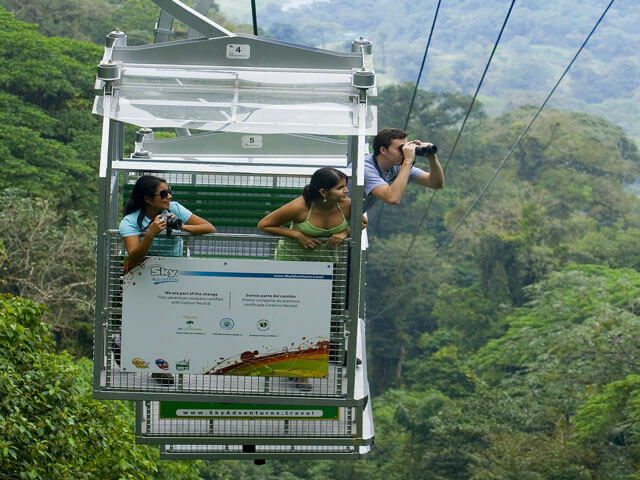 On this tour you will do the Skytram (guided cable car) which takes high up to get to the Skytrek (canopy ziplines). You will also do the Skywalk (guided hanging bridges) and also enjoy a relaxing lunch at the Skytrek Restaurant. On top of this you will also see a waterfall on the hanging bridges and visit the butterfly and orchid garden. There are currently ten zip line cables, ranging in height from 30 meters to 200 meters and in length from 200 meters to 750 meters. The Skytrek uses a system of cables (or zip lines) that enables you to safely “fly” over the rain forest holding onto a pulley with two handles. Comfortable harnesses are used which are adjustable at the waist and legs. At times the tram is 40 meters above the treetops. You will have some time at the observation point. 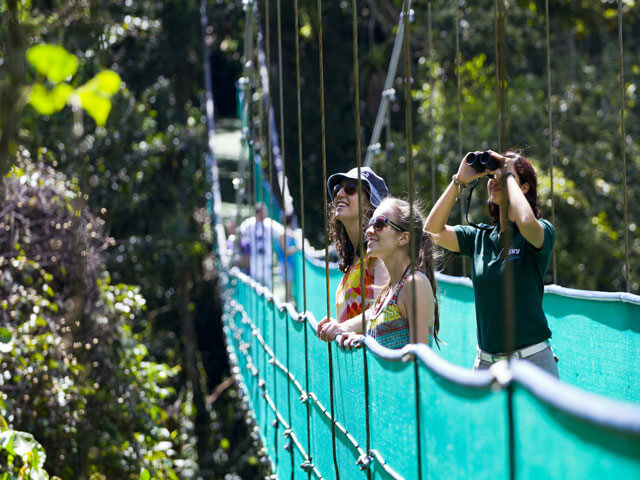 The Skywalk is great way to see the rainforest at a much slower pace and see the forest from a different perspective. Your guide will point out interesting aspects of the forest and any wildlife along the way. You will also view two waterfalls and go to an amazing platform 30 meters high with spectacular views of the rainforest. Minimum 2 people (Double occupancy): Price FROM $375 per person. PPlease inquire about prices for your specific dates and any modifications you would like. Included on Trip: One night accommodation, all transport, all tours in the itinerary, one breakfast, two lunches and dinner at hot springs. 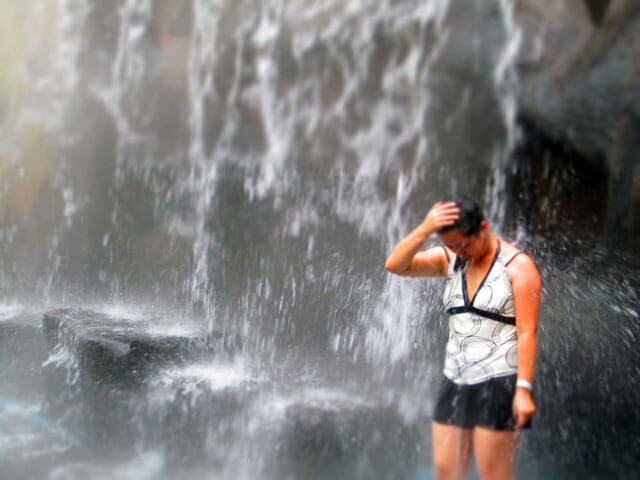 What to Bring: T-shirts, shorts, , sports sandals, rain jacket, sun screen, insect repellant, any personal medication, swimming wear, towel, traveler's insurance (to include white-water rafting, full passport, and a credit card (VISA and MC are the easiest to use).